Close to two years have gone by but the Uttar Pradesh government is yet to implement the Allahabad high court’s order to make it compulsory for government officers, people’s representatives and judges to send their kids to government-run schools. 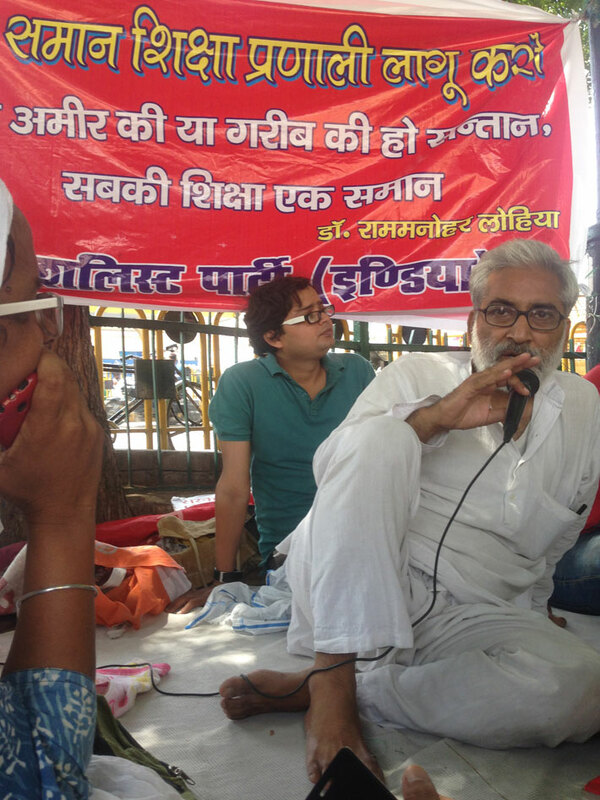 As another academic session is about to begin, Sandeep Pandey, a Magsaysay award winner activist and former IIT-BHU professor, has announced he would go on an indefinite hunger strike from June 19 to put pressure on the Yogi Adityanath government, with hope of ensuring equal right to education for all children. 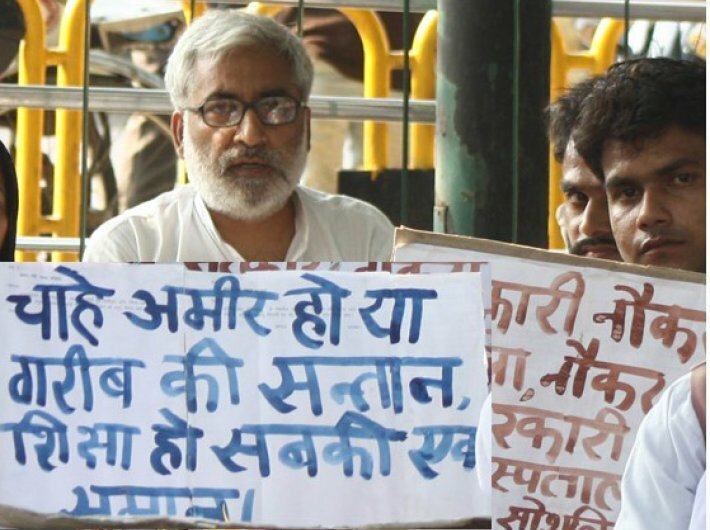 On June 5 he submitted a memorandum to the district administration in Lucknow informing them about the hunger strike. On August 18, 2015, the court’s single judge bench of justice Sudhir Agarwal had passed an order, asking the state chief secretary to work out the modalities to ensure that all government servants send their children to primary schools run by the state basic education board. The court had set a six-month deadline. The order was to be applicable to members of the judiciary, government officials, semi-government employees, employees of local bodies and representatives of people. The order came on a petition filed by Umesh Kumar Singh and others who had challenged the process of selection of associate teachers for government-run primary and junior high schools in UP for 2013 and 2015. The court pulled up the state’s basic education department for poor conditions of schools, education and negligent approach in rules pertaining to appointment of teachers in government-run schools. “If a little care would have been there on the part of responsible officers in making legislations for making recruitment, huge litigations resulting in lakhs of vacancies in primary schools maintained by the UP board would not have been caused,” the court remarked. Pandey says there are two kinds of education system in India, catering to two kinds of people. Firstly, there are “people who can afford to send their children to private schools who after completing their higher education are able to get a job or are self-employed”. Then, there are those “who cannot afford private schools are condemned to send their children to government schools which play with the child’s future. Children attending these schools have to clear their examinations using unfair means. Half of them drop out before completing their school or even if they complete their education have to live as unemployed or underemployed,” Pandey said in a press statement. He believes the only way to rectify the situation is to make children of government employees, people’s representatives and judges attend government schools. “Wherever in the world universalisation of education has been achieved it has been done only through a government common school system with the concept of neighbourhood school implemented. When children of these segments will start going to government schools, their quality will improve and children of poor will also get good quality education,” Pandey added. Socialist Party (India), of which Pandey is the vice president, has been organizing demonstrations on the issue of implementation of the Right to Education (RTE) for the last couple of years and now it has taken up the issue of implementation of the court order. The Socialist Party (India) even maintains that a person should be considered eligible for a government job or contesting an election only if he or she has been educated in a government school. What applies to the education sector also applies to healthcare, and the party says all government employees and people’s representatives and their dependents should avail services of only government hospitals and not private clinics. “The former government lead by Samajwadi Party’s philosophy of ‘muft padhai, muft dawai and muft seenchai” [free education, healthcare and irrigation] was sharply contrasted by its lack of political will to effectively implement the RTE Act. It provides for reservation of 25 percent of seats in all schools for free and compulsory education to children from the under-privileged classes,” Pandey said. While the UP government has technically implemented RTE in the state’s elite schools, activists allege that it actually made no efforts to get it effectively implemented at all levels. Almost 90 percent private schools in the state do not give admission to children from economically weaker sections (EWS) under the 25 percent reservation clause of RTE. The district magistrate of Lucknow had ordered admission of 31 children from poor socio-economic background to a renowned school in the state capital in the academic year 2015-16. The school however refused to admit the children. It was after a long-drawn court battle that the school was forced to admit 13 of the 31 children who lived within a kilometre of the school, which was the definition of ‘neighbourhood’, a criterion students needed to fulfil for seeking admission. The school knocked the doors of the supreme court but found no relief. Pandey and his team had fasted for almost a week in 2015 to ensure admissions to these kids in the private school under RTE. However, when the academic year 2016-17 began, the school in question as well as other elite schools decided to ignore the court order, said Pandey, and refused admission to many of eligible children – and even cancelled the granted admission in some cases. “In all 105 children were denied admission in 2016-17 and it is a shame that the administration didn't intervene,” alleged Pandey. In his statement, Pandey says there is only one way parents from poor socio-economic background would be freed from the clutches of private schools. If the 2015 court order is implemented, then the quality of government schools will improve and common people will have an option of sending their children to government schools for education. Pandey has also fasted for the implementation of the court order in 2016 for almost 10 days, and nothing has been done so far. 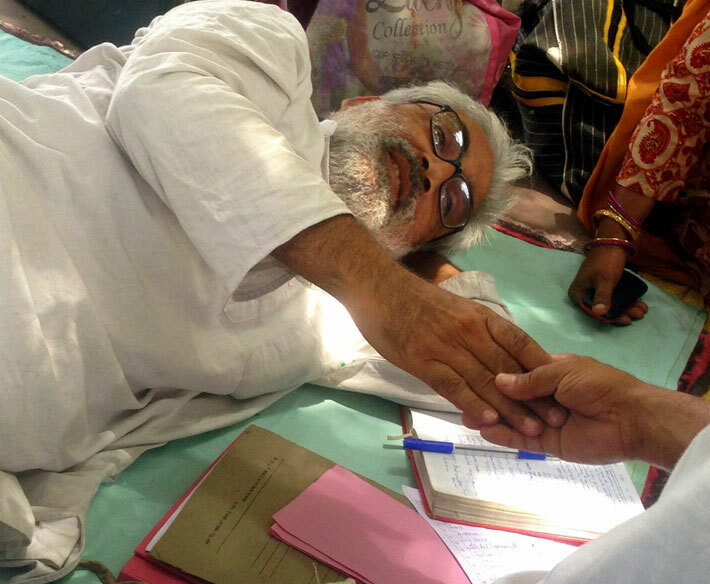 He has now decided to sit on an indefinite hunger strike from June 19 to press for the implementation of the orders. 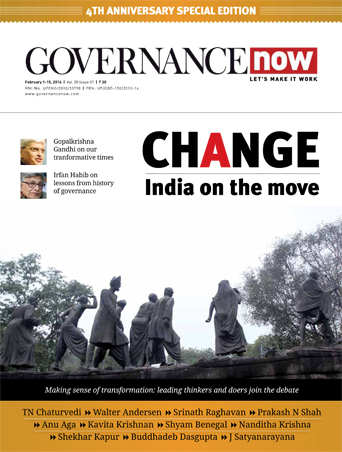 However, the Yogi Adityanath government has not completed even 100 days, and wouldn’t it be a bit far-fetched to expect it to do something that the previous government neglected for more than one and half years? Pandey says it’s time for the new academic session and kids will have to wait for one more year if the order is not implemented in time. 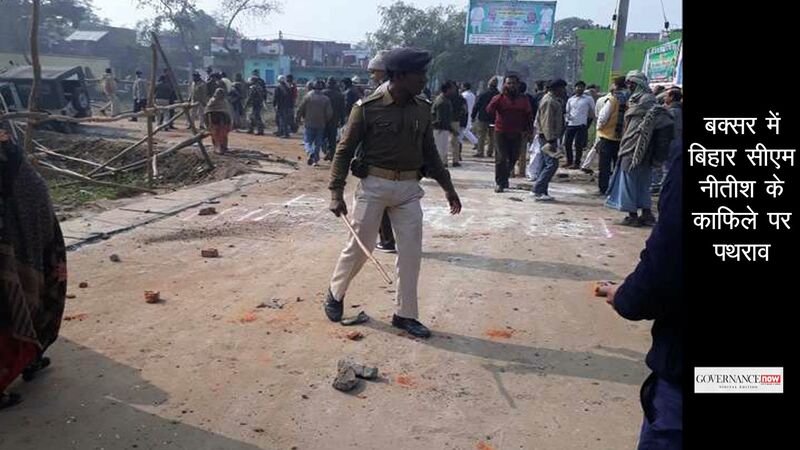 “I want to draw the attention of the Yogi government to the issue. I hope they will do the needful,” he told Governance Now.